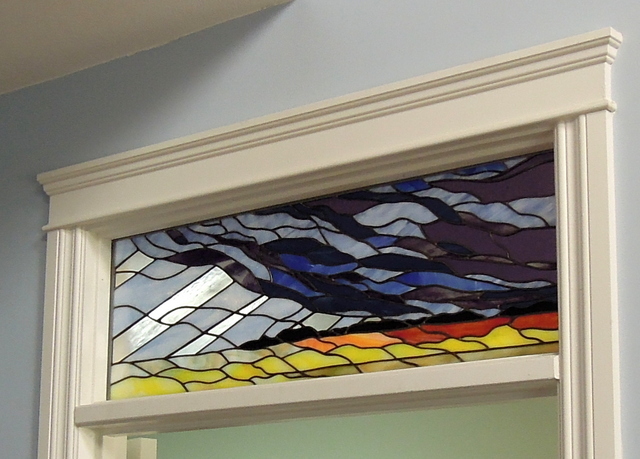 As previously indicated we have an updated photo of the interior transom window featuring the Alberta Prairie – Mountains and Storm Clouds. For the sunbeam rays as mentioned further in this post we used a Crystal Ice Youghiogheny glass. Depending on the time of day whether it be sunlight or interior room back lighting these rays come to life. 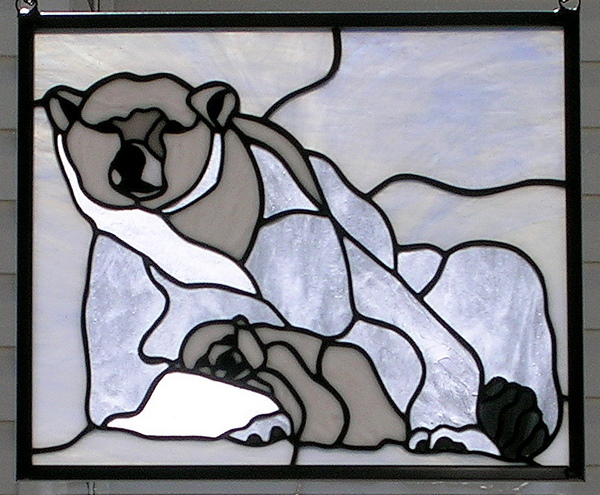 Wonderful clients who live SW of Olds Alberta also commissioned us to do their last interior transom window. 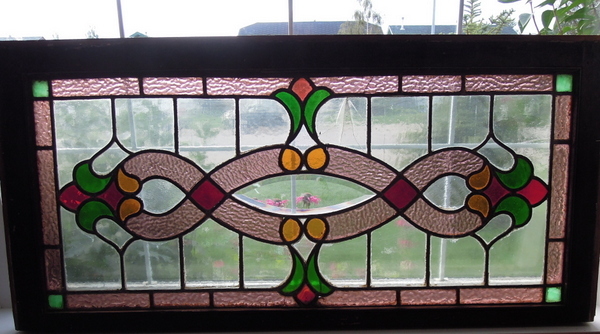 The first 2 are on our website as Alberta Rose Transom Window Summer of 2014 and Beveled Transom Window 2015. For the 3rd window our clients wanted to have the transom window designed from a painting that they have, which shows storm clouds over the prairies with the grain fields in the foreground, backdropped by Alberta’s majestic Rocky Mountains. To accomplish this design we once again solicited the awesome design skills of Martha at Paned Expressions Studios in Edgewood Maryland. The design measures approximately 36 inches wide by 12 inches high. What was really neat about this project was the opportunity to use some very neat art glass from Youghiogheny, Armstrong, Kokomo and Spectrum Glass. 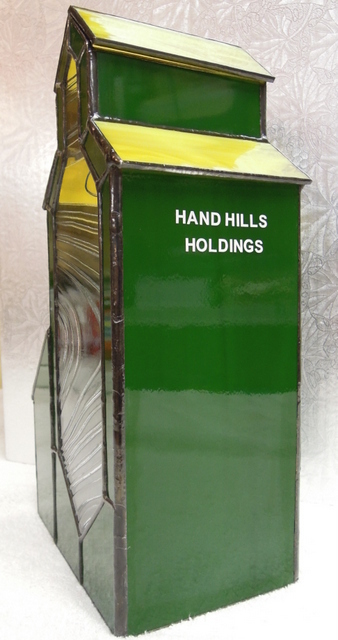 With this design it was of utmost importance for us is to watch glass direction carefully as advised by Martha at Paned Expressions Studios as it could have turned out looking like a bad abstract. 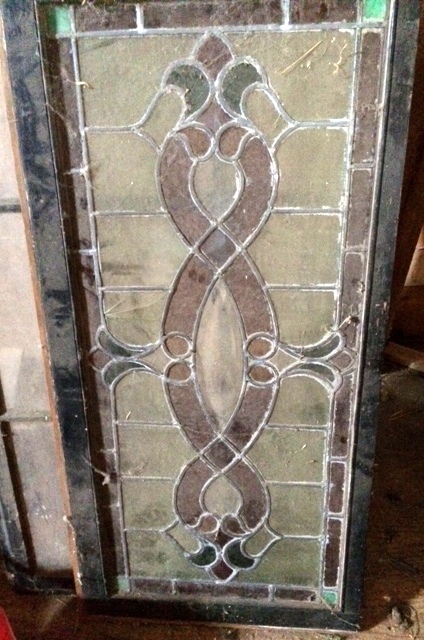 This picture is of the finished window prior to installation in our clients home. The sunbeam rays were made using Youghiogheny #YO-1000SP Ice White. The light effects from either backlight from sunlight and/or room lighting is quite simply stunning. The next time we visit our clients we will get a photo of the window installed, hopefully showing the sunbeam light effects. 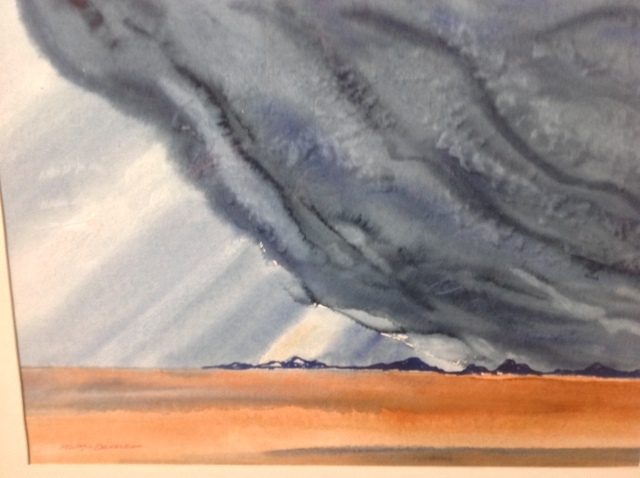 This is our clients painting, from which the stained glass pattern was designed from by Martha at Paned Expressions Studios. For Christmas 2015 we were commissioned to make this grain elevator. Our clients father in law purchased this grain elevator located in East Central Alberta a number of years ago and painted it John Deere Green & Yellow colors. 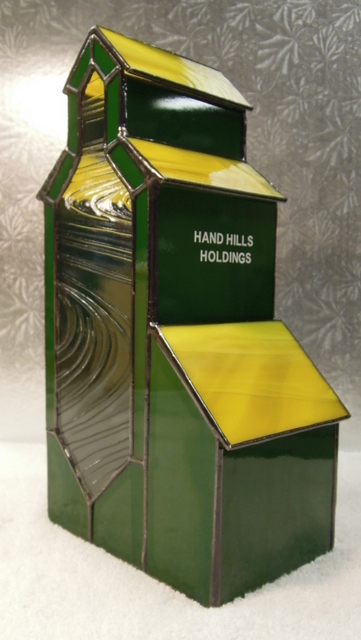 They wanted a replica of the elevator in stained glass that they could actually put wheat in from the farm. The roof on the top is removable to allow this, we added 2 small nails soldered into the removable roof to provide stability when handling to prevent the roof from slipping off. We used Spectrum’s new clear Barnwood glass along with Spectrum’s green and yellow. The elevator is approximately 12 inches high x 6 inches wide and 4 inches deep. It takes time and lots of patience to solder together but the end result is quite stunning.